Now that one year has passed since the formation of the 7th Central Pay Commission, curiosity to know about the salary hike has increased among Central Government employees. The 18-month duration given to the Pay Commission ends in August this year. It is obvious that the Commission is working hard and dedicatedly to complete its tasks and present its pay hike recommendations and report, at the most, before the end of this year. Sources say that the Government will give its nod to the recommendations of 7th CPC by April 2016. The recommendations including new pay scale for all groups are expected to come into effect from January 1, 2016 onwards. “All over the world, speculations usually run wild about the outcome of certain events. More than 50 lakh current and former Central Government employees await information about the revision of pay and pension all over the country”. 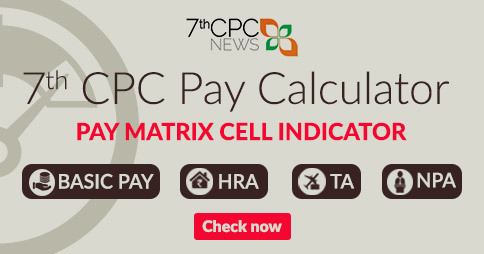 We now present you the “Expected Calculator” which will give a fair idea of what to expect, in terms of salary increment, from the 7th Pay Commission. We know very well that Dearness Allowance percentage plays a very crucial role in deciding the revised pay sturcture. AICPIN, which is used to calculate the Dearness Allowance, has been on the stable for the past six months. Therefore, it is slightly difficult to calculate the new pay scale. 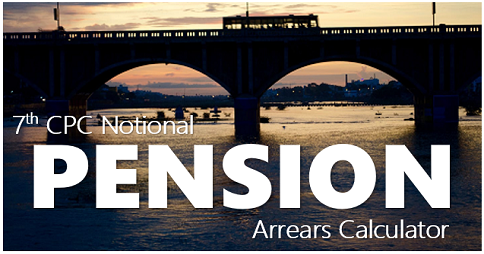 As of now, Dearness Allowance is fixed at 120% for the current calculations. House Rent Allowance, like before, will be calculated based on the city where the head quarter is located and is given as 10%, 20% and 30%. There will be no changes in this. Transport Allowance is calculated depending on Dearness Allowance and is expected to increase by 3.28 times than the current rates. Just input of your present basic pay and details of allowances in the prescribed places. Click to calculate button. 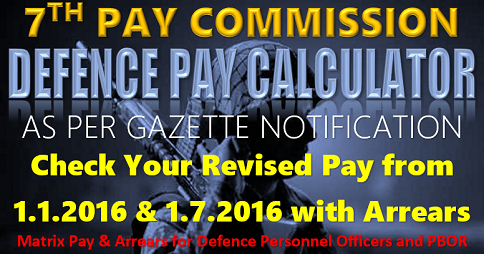 We immediately suggest your Pay Band, Pay in Pay Band, Grade Pay, HRA and TA as on 1.1.2016 on the basis of your inputs. 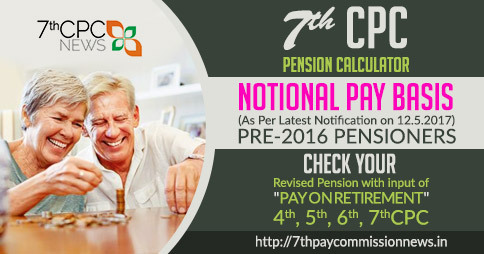 In our calculator, the July 2015 increment is added to the current basic pay to first arrive at the likely pay of January 1, 2016. 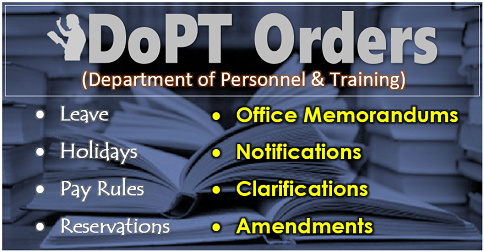 According to the revised basic pay, DA, HRA and TA are given in the output table. 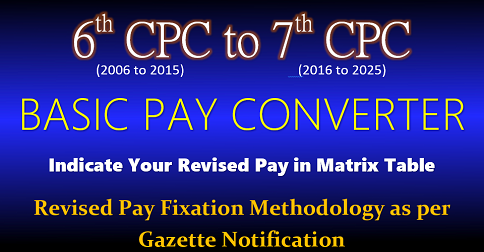 Then, based on the estimated hike of the 7th Pay Commission, the expected in revision of pay scale and allowances are given. 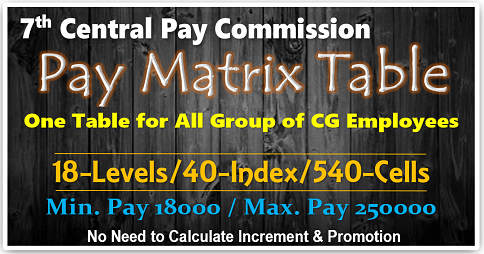 Pay Band, Basic Pay, HRA, TA and the total of your expected pay as on 1.1.2016. Finally, the difference between the two is calculated. Thank you for using the calculator. Let us remind you once again that the calculator is purely speculative and not official. You can share your opinion and comments about this article on our Facebook page. We eagerly look forward to seeing them. RAIN AND HAVOC defence is taking care of chennai and states around ..now where is the planning of so called IAS experenced and maintence funds gone..n civil administration””’you need corruption check and accountability…not mere transefers.. The minimum pay calculated is based on the prices prevailing at the time of constitution of the Seventh CPC which needs revision based on increase in DA siince then which is 25%.. Secondly the employees need to be given benefits of the overall development by way increase in per capita income also. Thirdly there must be a special fitment for the length of their services as is being given in Kerala- 0.5% for every year of service Major grievance is this and the indexation factor as well as multiplying factor must be uniform for all except the highest two scale which are fixed. Multiplying factor of 2.67 or more is applied to all the grade pay tables except 8700. Actually the highest benefit in Sixth CPC was to pre-revised 14300-22400 which is given higher multiplier factor than that of the 14300-18300 and it is being given higher multiplier factor I think either it is not seen by the 7th CPC or has ignored it purposefully as the last two pay commissions are favouring the higher level officers, in stead of lower cadres. How many times the salary is likely to be hike in seventh pay commissioned ?